Soft and Powerful – What is Tightlining? It’s also known as the invisible eyeliner, its a technique in which you line (with an eye liner) your top waterline. You can also apply the eye liner through the top lashline. Tightlining gives the appearance of a fuller lash line and it also adds a soft but powerful definition to the eyes! Dreams really do come true and I am living my dream! I have been officially open for a little over a week and I feel amazing. I never want to go home. I have never experienced this feeling working for corporate America. If I am not with a client, I am trying to find a new client. I am constantly handing out cards and letting women know what I do, all in one quick (run on) sentence. 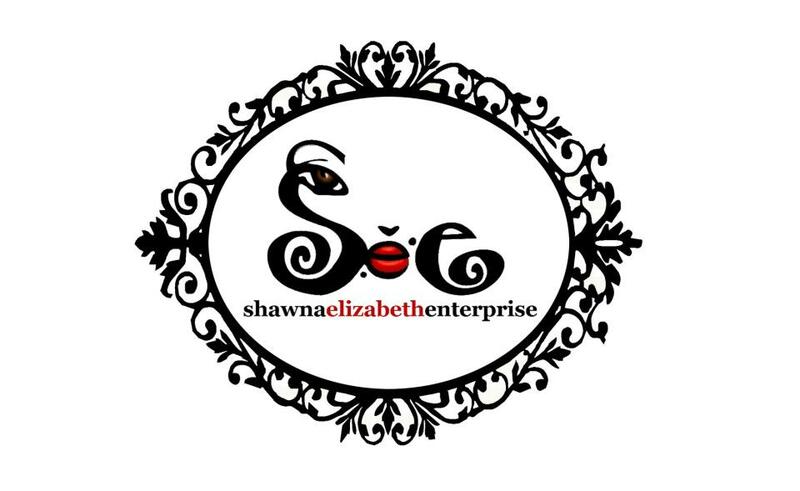 Usually I say “Hi I’m Make-up Artist Shawna Elizabeth, I just opened up a Make-up Studio, where I do Make-up Classes, Lashes, Brows, Mini Facials and of course Make-up!” Most women have questions or want clarity, so that’s my conversation starter and my pick up line, LOL! 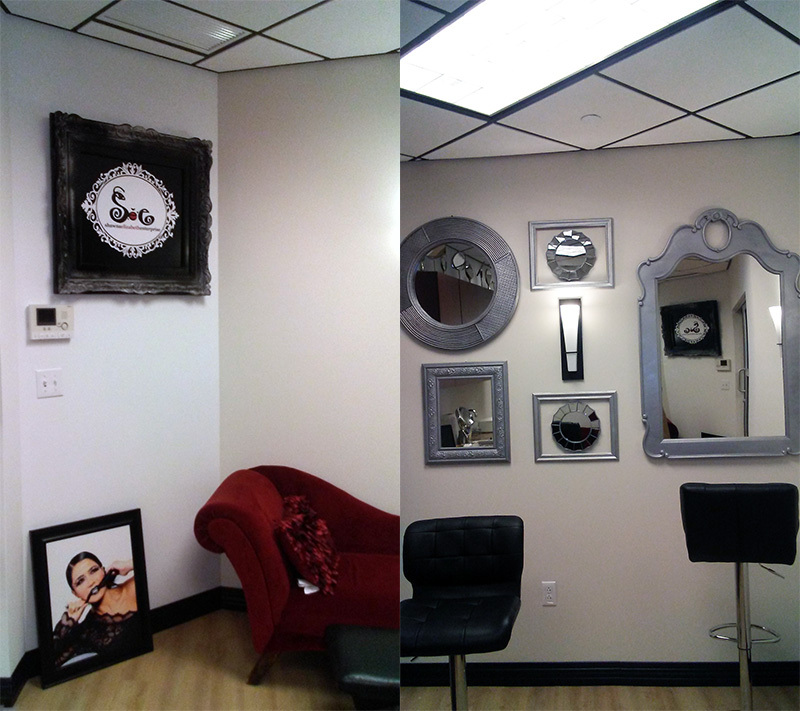 I am also trying to get my loyal customers use to coming to my new studio versus me traveling to them. Most of them love the comfort of getting their make-up done in their home, I’m fine with that and will continue to travel to service them. 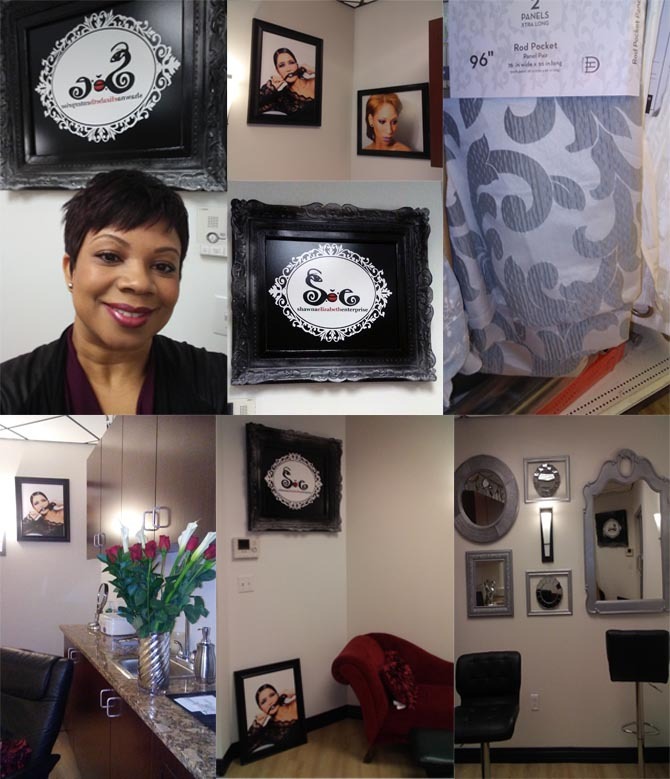 I have decided to host small make-up classes in my studio, where the class size will max out at 5. So now, Smoky Eyes and Wine, will be offered on a weekly basis, every Friday night at 6:30 pm! Super Excited! I still haven’t finished decorating, just realized how picky I am. My wall of mirrors is complete but I still have to get more picture frames. I have to pick other small embellishments but I realize that this is a process. Living a DREAM is also a process, so I am happy, blessed and always dreaming. I thank you for kind words of encouragement and prayers! Look: The 2 Classics! Smoky Eyes & Red Lips! Tip: No Rules! 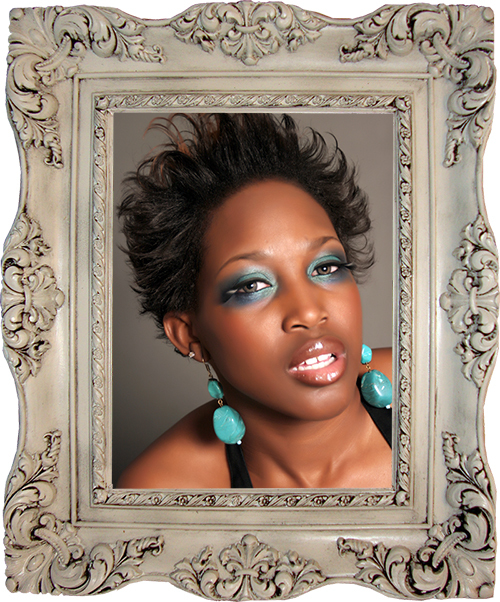 Some people think, if they have smoky, dramatic eyes they need to couple it with a neutral or soft lip. Why not have dramatic eyes and a powerful lip color? You make the rules in this make-up game. Be a game changer! Tip: Neutral done with a kick! The kick is the black eyeliner and eye shadow. Add black to any eye shadow application (even the most neutral colors) and get ready for a POP! Patiently waiting, and it’s coming together! Estimated move in date Monday, February 15th! I have been so busy picking out all the small details. My paint colors, Aesthetic White and Extra White, I picked out a couple of weeks ago, finally have arrived on my walls, love it (thanks to Dahlia and Linda for your suggestion)! I (actually my daughter, Leila and I) painted two old mirrors I had, they both were dark wood and I painted them a light silver. I got candles and a diffuser to create this clean and warm environment, that smells fabulous. I bought this beautiful flashy red pillow to dress up my red chaise. 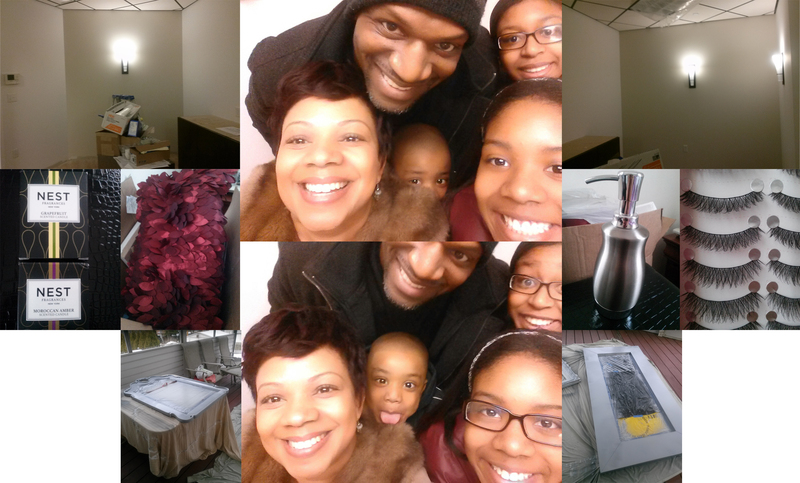 I even had time to take a family selfie in my unfinished studio. Welcome to my family, I call “the powerful5”. Still staying prayed up and super grateful about what’s to come, will keep you posted. Dreams really do come true! 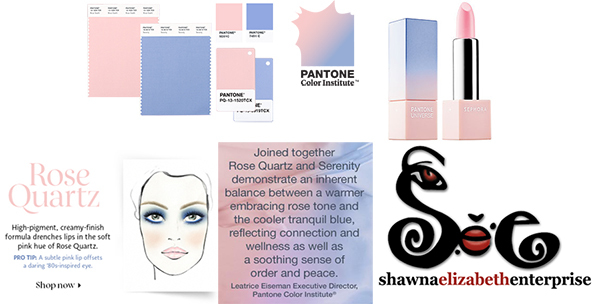 The Pantone color of the year is…drumroll….Rose Quartz and Serenity (that’s right 2 colors)! LOVE THY SKIN- Recipe for a flawless make-up application, take care of your skin. 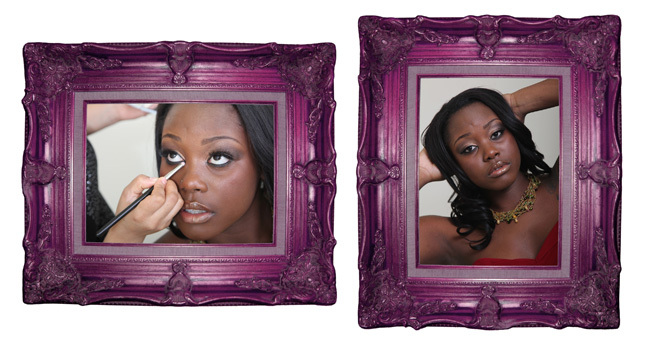 Make-up is an enhancement tool and should never replace good facial hygiene. Every morning and night commit to washing your face, applying corrective serums and moisturize. So you want the very best skin care results, add exfoliation and a mask 2-3 times a week to you daily skincare routine. Now you are ready for your flawless make-up application. You must LOVE THY SKIN! of your comfort zone and bring all the attention to your eyes.